Advanced Metering Infrastructure (AMI) solution comprises of systems that measure, collect and analyze energy (and gas/ water usage). 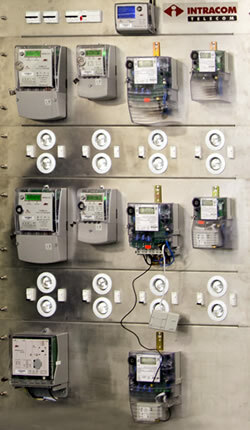 AMI solution starts from smart electricity meters (or gas, water meters respectively), passes through various communication media towards Central Telemetry Data Center, reaches to AMM/MDM (Advanced Meter Management /Meter Data Management) software and includes the integration of such applications with existing Utilities back-office (Revenue Management, CRM and others). Utilities (digital) transformation embraces modernization of a series of systems and processes with ultimate target the meter-to-cash approach and the omni-channel customer experience. This is a long and resourceful operation which may require, at least for some time, co-existence of both legacy and smart infrastructure. Intracom Telecom has long experience and expertise in delivering complex projects for Telecom and Energy sectors, proven ability to execute and a wide of range of best of breed technological partners which help deliver various end-to-end turn key solutions. Intracom Telecom integration capabilities provide operational streamlining, end-to-end process management and seamless communication for all of the above-mentioned solution components helping Utility companies smoothly and cost-effectively mutate into a success-driven organization. Intracom Telecom selects and supplies the appropriate smart meters for Utility, Municipality or Netmetering needs after studying specific customer requirements. The introduction of AMI has lead to a manifold increase in the amount of data utilities gather and process compared to the past. Contemporary estimations expect that by 2022 the electric utility industry will be swamped by more than 2 PBs/year just from smart meters, inevitably necessitating the introduction of Big Data solutions in the ecosystem. By employing Big Data Analytics, utilities get more value from data, extracting actionable events that facilitate operational efficiency, enhance customer experience, manage risks and increase financial benefits. Based on its BigStreamer™ platform, Intracom Telecom is offering a unique big data management and analytics solution that complements the afore-described AMI solution and facilitates utilities harness the merits stemming from voluminous data collections. Indicative applications include detection of energy theft, intelligent customer segmentation, consumption behavior modeling, forecasting and visualizations. 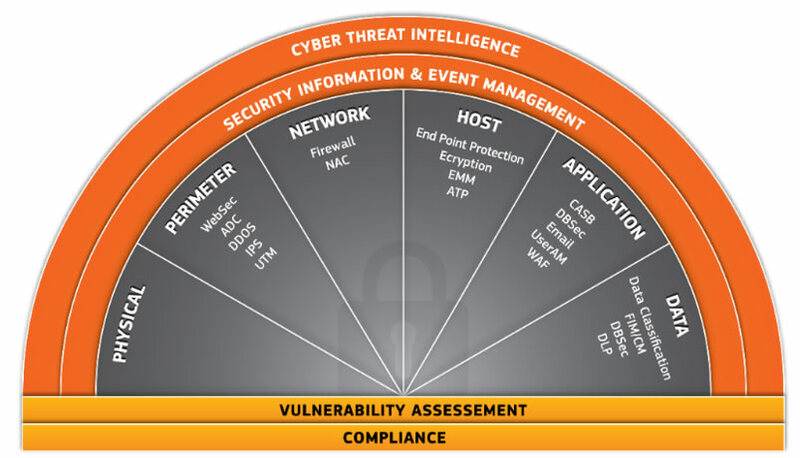 Defense in-Depth approach: Multi layer security approach is intended to provide redundancy in the event a security control fails or a vulnerability is exploited. Unified OT and IT environments. PLC (Power Line Carrier) solution, including Modems and Data Concentrators for PLC Prime, G3 and other PLC variants. End-user awareness is achieved via In-Home-Displays and Customer Portals. In-Home-Display (IHD) is located at end user home, communicates exclusively with the consumer's energy meter mostly through Zigbee, Wireless M-Bus protocols or PLC technology and interacts with the consumer. IHD allows consumers to monitor their consumption in real time, check historical consumption and receive simple messages from Utility. Customer Portals (WEB and Mobile Portal) are interconnected with Telemetering Software ( AMM/MDM ) in order to provide up-to-date information to end user. Web portal is a personalized web page that provides the consumer with the ability to access information associated with energy consumption. The Mobile portal allows smart mobile phones as well as tablet devices to access a mobile-optimized version of the consumer web portal. IT Infrastructure Security (Firewalls, Web Application Firewalls, Intrusion Prevention/Detection systems, Penetration tests). During AMI turnkey projects, Intracom Telecom applies specialized Asset and Work Flow Management applications, appropriately developed and customized, in order to ensure the full monitoring and control of materials, throughout the entire equipment lifecycle, as well as the execution of installation and maintenance field works and services respectively. 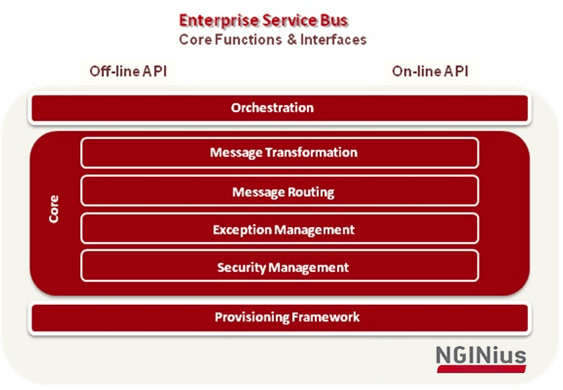 Intracom Telecom Enterprise Service Bus (ESB) solution provides automated, efficient and secure communication between AMM/MDM Solution and applications/systems on the Utility Back-office domain (Billing, CRM, Asset Management, SCADA, other AMM, e.t.c) or external stake holders. Intracom Telecom provides the following services portfolio during a turnkey AMI solution deployment.